On Tuesday, HuffPost Food named the 11 Best Food Books of 2011. There, we focused on narrative accounts of the food world, explicitly excluding cookbooks from consideration. But many of the best food books to come out every year are in fact cookbooks -- and that was especially true in 2011, which we see as one of the strongest years in recent memory for new cookbook releases. With that in mind, we've assembled our list of the Best 11 Cookbooks of 2011. The cookbooks have a wide range, though most of our picks were written by professional chefs. One interesting trend we noticed in this year's crop of cookbooks was an explicit expansion in the range of possibilities of the cookbook form. Some of the books we included hew closely to traditional formats, but others, like Hunt, Gather, Cook and Joe Beef, actively fight the conventions of the form by including serious essays between the recipes. Many of these are beautiful art objects as well, and would certainly make great gifts for food-lovers this holiday season. In addition to the 11 we chose as the best of the year, there was also one notable cookbook, of sorts, that we couldn't not feature in the slideshow. You'll see what we mean on slide 12. And we'd also like to give special commendation to a few other books we liked, but not quite enough to feature in our top 11: Hugh Acheson's New Turn In The South, Paula Wolfert's The Food Of Morocco, Jennifer Lagan's Odd Bits and Bitters, by Brad Thomas Parsons. Hats off to you guys. <strong>Vibe:</strong> This <a href="http://www.amazon.com/Art-Living-According-Joe-Beef/dp/1607740141/ref=sr_1_1?ie=UTF8&qid=1322696791&sr=8-1&tag=aolholiday-20" target="_hplink"><strong>cookbook from the team at Joe Beef</strong></a>, an acclaimed Montreal restaurant, is one of the best-written cookbooks of the year -- its prose shows an awesome combination of sentimentality and punchiness. And the heavy, stonery food certainly doesn't hurt when it comes to winning HuffPost Food's affection. <strong>Difficulty:</strong> Relatively hard -- it's hard to imagine all that many people will be subbing Joe Beef's 33-ingredient recipe for Chicken Jalfrezi in for their weekly Indian delivery slot any time soon. 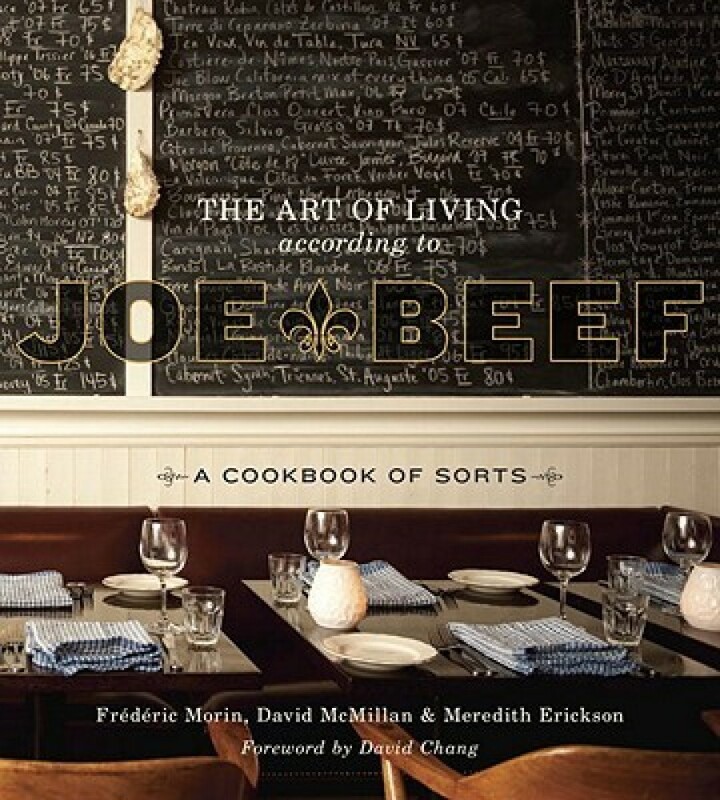 <strong>Best Recipe: </strong>We're gonna have to go with the Joe Beef Double Down (pg. 173)... deep-fried biscuits, foie gras, bacon and mayonnaise make for one sickeningly delicious meal.